Sugar paste is also known as rolled fondant or ready to roll icing. It is used to cover cakes for a smooth finish after they have been crumb coated with buttercream or a ganache. This recipe creates sugar paste that is firm and elastic and makes rolling it out for covering your cake easy. Not only does homemade sugar paste taste better because you can add different natural esseences, than commercially available paste, it is so much cheaper to make it yourself! Sift the icing sugar into a large bowl and set aside 2 cups 900g to use later. Heat the vegetable fat or white margarine in a microwave until it is thoroughly melted, and set to one side. Heat the gelatin and water in a microwave oven until completely melted, making sure that the mixture does not boil. Otherwise, the gelatin will lose its strength. Stir the melted vegetable fat or white margarine into the melted gelatin. Stir the glucose, glycerine and salt into the melted gelatin. Place the mixture back into a microwave oven and heat at full power for 30 seconds. Stir until the mixture is smooth. Add lemon juice or clear vanilla essence and food coloring (optional), or knead the food coloring into the mixture at the end. Dip a toothpick into gel food coloring and add a small amount at a time to the mixture. Mix until you have your desired color. Make a well in the icing sugar and pour the gelatin mixture into the well. Blend the gelatin mixture into the icing sugar with a wooden spoon or an electric mixer fitted with a dough hook. Mix until you have a sticky paste and most of the icing sugar is incorporated. Pour some of the icing sugar you previously set aside onto your work surface. Spread some of the extra vegetable fat or white margarine on a spatula or spray the spatula with non-stick cooking spray and use it to scrape the sticky paste onto your work surface. Spread vegetable fat or white margarine or spray non-stick cooking spray onto your hands and knead the paste. Keep on adding more icing sugar until you have a smooth sugar paste. If the sugar paste starts to stick to your hands, spread more vegetable fat or white margarine on to your hands and pour more icing sugar onto the paste. The sugar paste should be firm but can still be slightly sticky as it will become firmer and drier after standing . If you want to use the sugar paste immediately, mix in more icing sugar until the paste feels firm and dry. Spread vegetable fat or white margarine over the ball of sugar paste and cover with plastic wrap. Place in a zip-lock bag and leave to mature overnight. 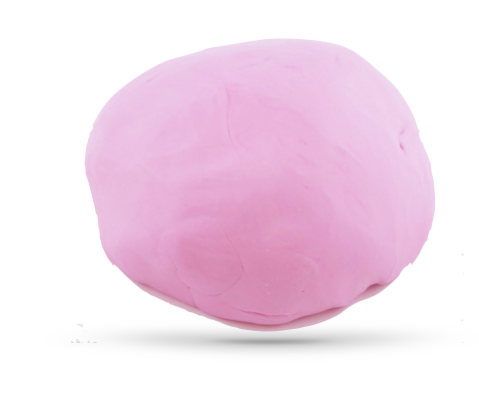 If your sugar paste feels very firm after standing overnight, knead it well until it feels soft enough to roll out. Knead in food coloring if the color is too light or if you have not added it before.